Pest description and crop damage Adults resemble tiny white moths about 0.1 inch long. Immature forms look like scale insects and are completely sedentary after the first nymphal instar. 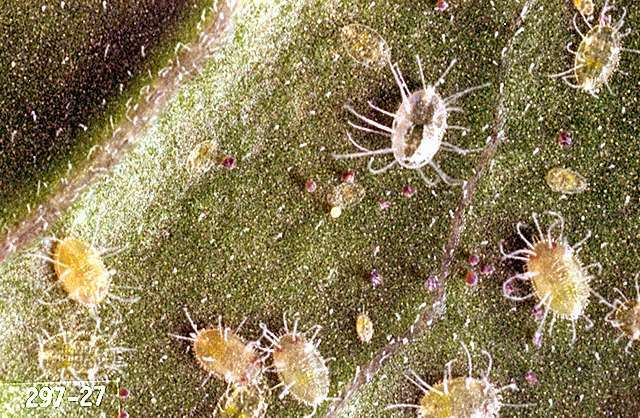 Whiteflies occur in most potato fields, and can rarely become very dense by season's end. They rarely, if ever, require control in PNW potatoes. Biology and life history Greenhouse whitefly is a common pest of many crops and ornamental plants all over the world. 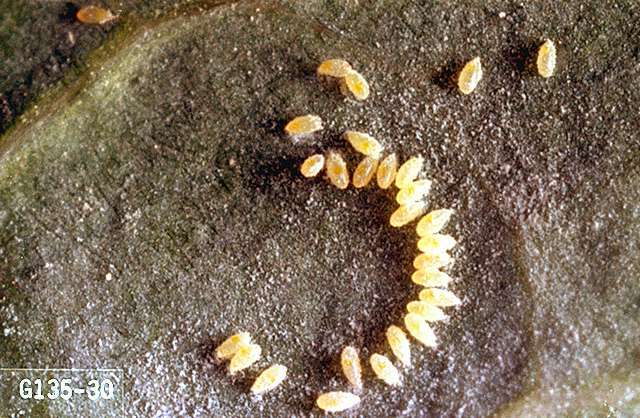 Eggs are laid individually on leaves, the immature stages remaining on the same leaf throughout development. Therefore, larger whitefly nymphs will be found on mid-canopy leaves. The final immature stage is much like a pupa, with the adult developing inside the cast nymphal skin. Whiteflies have short generation times, with multiple generations per season. 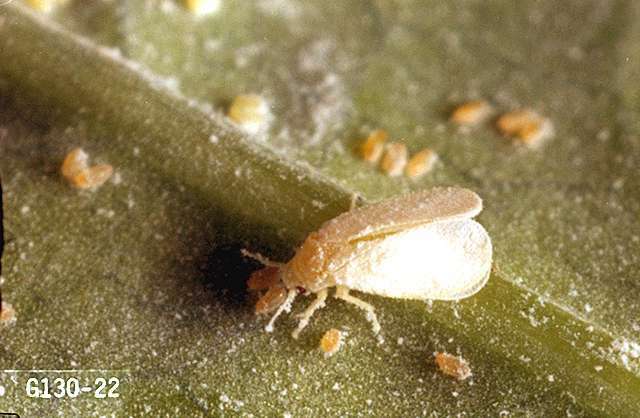 Scouting and thresholds As noted above, whiteflies rarely reach populations requiring control, reducing the importance of including them in scouting programs. Adult whiteflies are easy to spot flying within the plant canopy. Whitefly nymphs are much more difficult to measure - a leaf sampling scheme is required since they are not dislodged during beating sheet/tray sampling. There is no established treatment threshold for whiteflies since they are not commonly pests in PNW potatoes. Whiteflies are prey for many generalist predators as well as specific parasitoids. This may partially explain the infrequency with which they become abundant in PNW potatoes. plant essential oils (e.g., clove, garlic, rosemary)-Have shown some efficacy against whitefly. Some formulations are OMRI-listed for organic use.